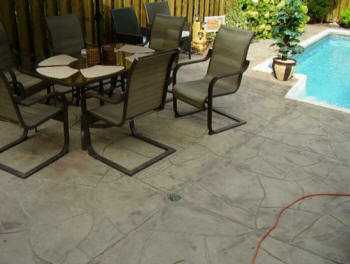 Adding accent color The accent color is the secondary color used in stamped concrete. The secondary color is used to produce texture and show additional building materials (e.g. 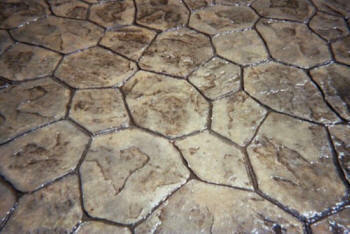 grout) in the stamped concrete. 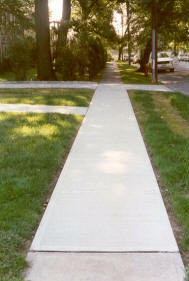 The accent color is produced by applying color release to the concrete. Color release has two purposes. Color release is a pigment used to color the concrete and color release is a non-adhesive used to prevent the concrete stamps from sticking to the concrete. The color release can be applied in one of two procedures; cast-on color release or spray-on color release. 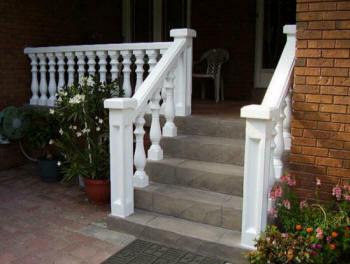 Cast-on color release is a procedure where the powder color release is applied by spreading the color release on the surface of the concrete before the concrete is stamped. 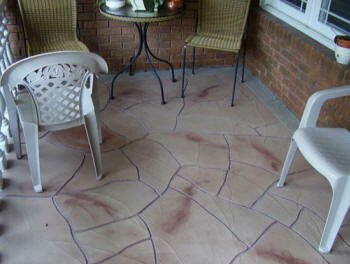 Spray-on color release is a procedure where liquid color release is sprayed on the bottom of the concrete stamps before the concrete is stamped . Stamping patterns The pattern is the shape of the surface of the stamped concrete. The pattern reflects the shape of the natural building material. 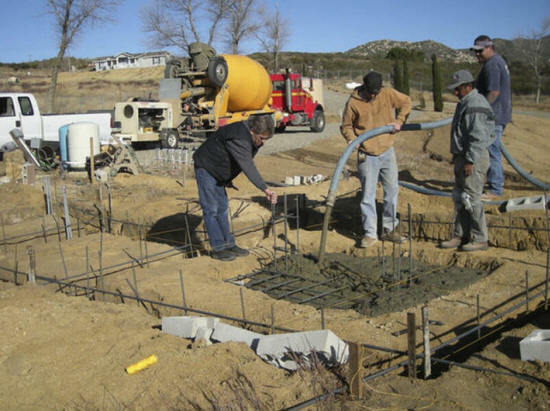 The pattern is made by imprinting the concrete shortly after it has been poured with a "concrete stamp". 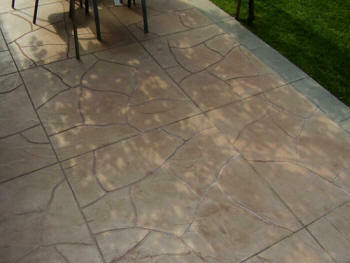 Concrete stamping is the procedure which uses the concrete stamps to make the pattern in the stamped concrete. 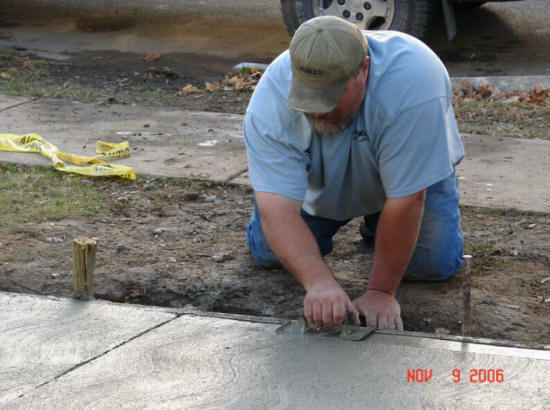 Concrete stamps are placed on the concrete after the color release has been applied. 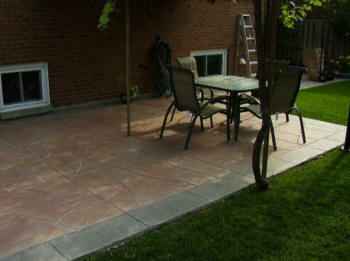 The concrete stamps are pushed into the concrete and then removed to leave the pattern in the stamped concrete. 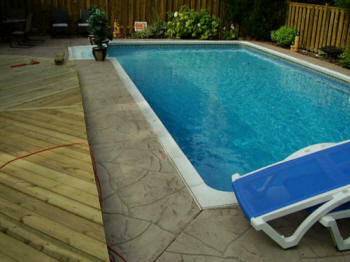 Finally the next day we pressure wash off most of the Release and seal with a Great sealer. 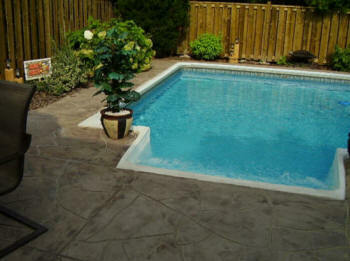 The concrete contractor patios, driveways or pool decks. 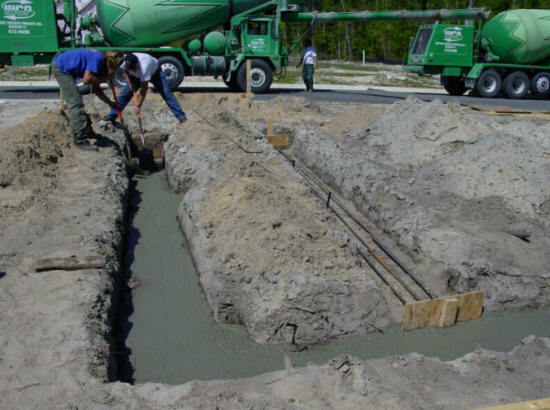 The extent of concrete work depends on the specifications given by the clients who should understand the different concrete jobs available to them. 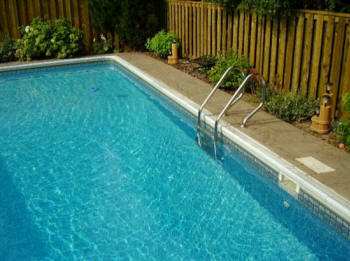 Not all repairs need total dismantling of the concrete. 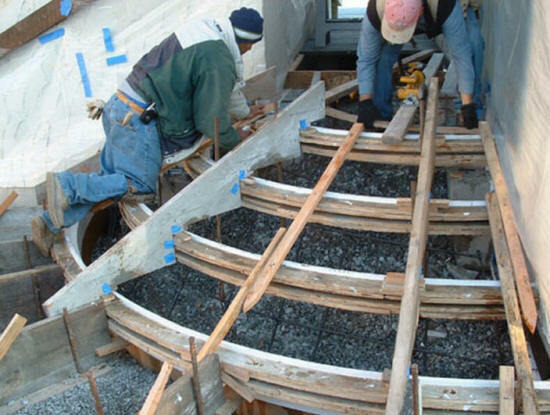 Oftentimes, what the repairs on concrete structures really need is just the staining, resurfacing, or concrete stamping on top of the old structures. Concrete driveway. It can be colored, shaped, given surface contours and textures, or even embedded with stone or aggregates to give it a composite look. 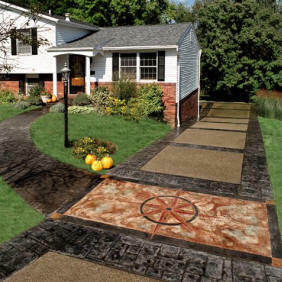 Quikcrete sells shape grids that allow you to create a decorative pattern on your walk or drive as simply as pouring concrete. Ask which are local and which can be mixed and matched to give a varied, more colorful look. Beware of round stones, as they tend to roll away from high spots. 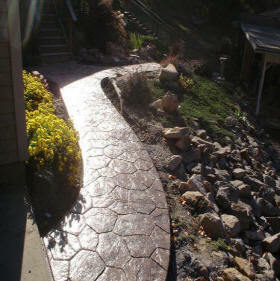 Good driveway stones should be angular so that they will stay put. Smaller stones may work their way through larger ones and into the bedding soil below. Whatever stone you choose, be prepared to restone every year or so to maintain the surface. 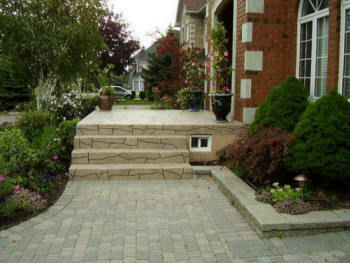 Stone gives excellent drainage and a beautiful look for the home. 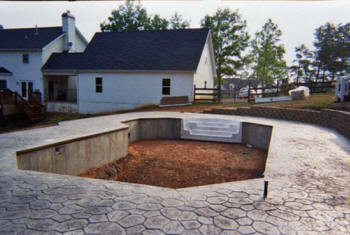 Think twice before building a white gravel drive, however, because a stone driveway is virtually impossible to clean. Local Concrete Garage Floor Repair Contractors FREE Quote ➨ Replace Concrete Walkway Add on Patio Concrete Footing Foundation Repair Concrete Garage Floors Cost Extend Concrete Patio Repair. Poured my garage slab and patio. It may be a broad expanse or curved and winding, disappearing among the shrubbery or a straight shot to a waiting garage. 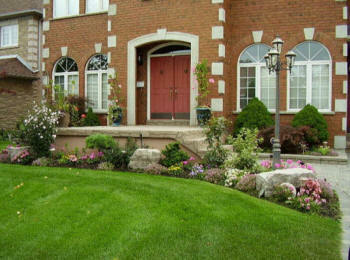 Whatever the profile, your driveway presents landscaping opportunities to enhance your home and its character. While you must consider the drainage you will need, the stability of your soil, and the freeze and thaw cycles in your region, there are many materials and techniques available to help you create a driveway that goes a step beyond asphalt to accent. 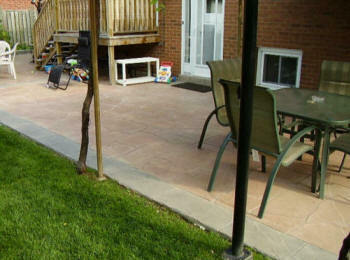 Bricks may be among the simplest of all paving and patio materials to work with. look to area foundries for the bricks they produce. Some demolition companies also sell old bricks that are perfect for quaint older structures. 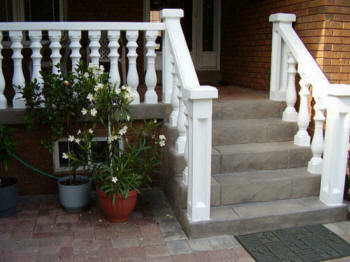 There are distinct advantages to using brick, as they can be replaced when damaged. For a more permanent set, the bricks can be laid in a concrete /sand bed and allowed to set up from below as well as between the bricks. 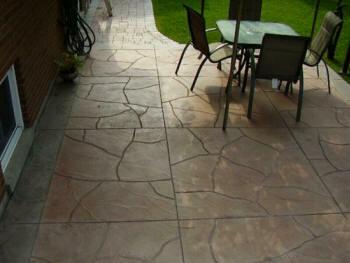 I Need To Find The Best Local Near Me Install Concrete Garage Slabs Floor Contractors. 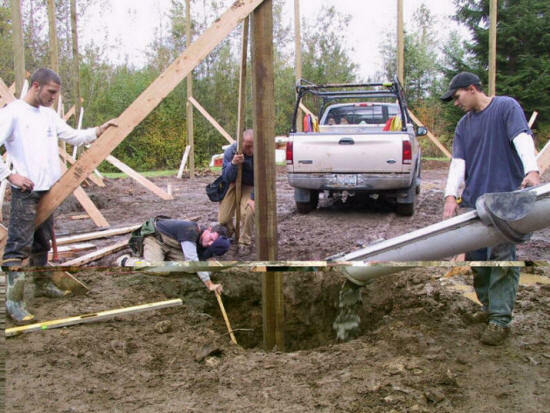 construction walls, footings, foundations, site concrete, & residential poured wall basements, decorative concrete, driveways stamping or acid staining.